You are here: Home / What is Sukkot? 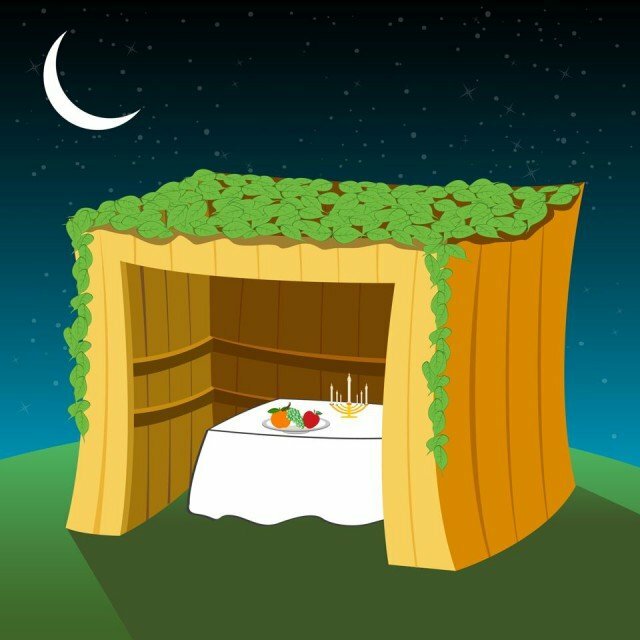 Sukkot (Feast of Booths or Tabernacles) is one of the three biblically based pilgrimage holidays known as the shalosh regalim. It is an agricultural festival that originally was considered a thanksgiving for the fruit harvest. Sukkot are hut-like structures that the Jews lived in during the 40 years of travel through the wilderness after the exodus from Egypt. As a temporary dwelling, the sukkah also represents the fact that all existence is fragile, and therefore Sukkot is a time to appreciate the shelter of our homes and our bodies. Sukkot is celebrated by, first of all, building a sukkah. Jews are required to eat in the sukkah for eight days (seven days in Israel), and some even sleep in the sukkah for the duration of the holiday. The sukkah is decorated and the first day is considered a holy day in which most forms of work are forbidden. The rabbis dictated that arbat ha’minim (four species) should be held together and waved during the holiday. These are based on four plants mentioned in the Bible, and the rabbinic version includes the following: etrog (fruit of the citron tree), lulav (palm frond), hadas (leaves from the myrtle tree), and aravah (leaves from the willow tree). This waving ceremony was performed at the Temple in the ancient world. The seventh day of Sukkot is called Hoshanah Rabah. On that day in the synagogue Jews circle the room seven times while the arbat ha’minim are held and special prayers are recited. There are no traditional Sukkot foods, except for kreplach (stuffed dumplings). Sukkot meal inspiration can come from the harvest origin of the holiday, and meals can include fresh fruits and vegetables, or other harvest-related ingredients. Of course, challah, chicken soup, and kugels are traditional Jewish foods that can be served on Sukkot (or any time of the year). What is the proper greeting for Sukkot? To wish someone a Happy Sukkot, simply say “Chag Sameach!” (Happy Holiday). On the Hebrew calendar, Sukkot starts on the 15th of Tishrei and continues until the 21st of Tishrei.